Maryland trespass laws have recently become a hot topic after two men were arrested for trespassing at Oriole Park at Camden Yards by Baltimore City police officers. The first incident occurred on opening day as the Orioles took on the Minnesota Twins in front of a rare sellout crowd. A 26 year old man from Severn, Maryland ran on to the field during the game dressed in a cape. Unfortunately for the Severn man the cape did not come complete with flying capabilities, and the trespasser was arrested shortly after entering the field of play. The aspiring superhero turned fourth outfielder managed to avoid criminal prosecution, albeit to none of his own credit. Lawyers from the Baltimore prosecutor’s office apparently failed to file charges due to an office miscommunication. The second incident occurred just 3 days later when a 19 year old Baltimore man dashed onto the field during the 12th inning of a frustrating loss to the Yankees. The 19 year old Baltimore man was not wearing a costume and did not receive the benefit of a prosecutorial miscommunication, as he now faces charges of trespass, disorderly conduct, and disturbing the peace. Both opening week trespassers received lifetime bans from the famous downtown Baltimore ballpark by the Orioles organization. Under Maryland law it is perfectly legal for property owners to impose, long term and even lifetime bans on private property. In order to impose these bans, a property owner need only to notify the person whom they are seeking to keep out. Police officers typically act as agents for the property owners and have the power to issue written no trespass warnings that serve as proper notice. 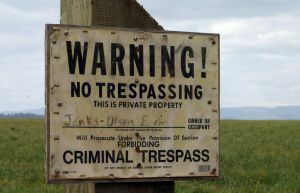 If a person is found in violation of a no trespass warning, they could face a misdemeanor criminal charge with a maximum jail sentence of 90 days. These bans can also be imposed by a judge or as part of a special condition of probation. Violation of a judge’s order could result in criminal charges as well as being held in contempt of court. If a defendant violates a “no return” condition of probation he or she faces violation of probation sanctions that may include jail time or increased probation time. Long term bans, trespass warnings, and no return orders may only show up in the Baltimore news during a long Orioles home stand, but they are actually quite common. Long term or lifetime bans are often imposed in shoplifting cases where a person accused of theft may be barred from returning to a store or chain of stores such as Wal-Mart or Target. These bans can also occur at casinos, concert venues, and nightclubs. No return orders are a popular protection measure for domestic violence victims as well. Enforcement of these bans can be difficult, especially when imposed by owners of large properties such as stadiums and super stores. Casinos are best equipped to enforce these bans due to the presence of high tech surveillance. Casinos have been known to spot a banned individual within minutes of entering the casino floor. It is safe to assume that store owners and even stadiums will soon follow suit and enhance their security surveillance measures as the technology becomes cheaper and more accessible. 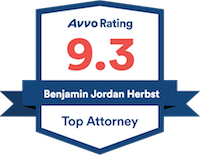 Benjamin Herbst is a Maryland criminal lawyer specializing in the defense of all crimes in Maryland including trespass, disorderly conduct, and domestic violence. The Baltimore criminal lawyers of The Herbst Firm are available 24 hours a day for a free consultation. Call 410-207-2598 to speak with a Maryland trespass lawyer today. Maryland laws allow Orioles, others to say, ‘Stay out’, baltimoresun.com, April 12, 2012.